Tree Trimming Services - Lawn Care in Boise Idaho. Throughout Boise, Meridian and especially Eagle, ID we have some of the most beautiful trees, full of blossoms and color. Here in the Treasure Valley we are fortunate to have many varieties of trees that grow and thrive in our region. From gorgeous Marigold's to Evergreens we have them all. Our passion for lawn care and landscaping has lead us into tree care and trimming. Much like your lawn, your trees need nutrition and care to ensure a healthy long life. each species is a little different and needs to be cared for accordingly. This where our experience and passionate step in. We have worked with almost every type of tree in the Treasure Valley helping ensure its health. From a general tree trimming, which removes dead branches and branches you want to stop from growing. As well a tree fertilization program which will help ensure the proper nutrition is delivered and your tree stays healthy and ultimately thrives. 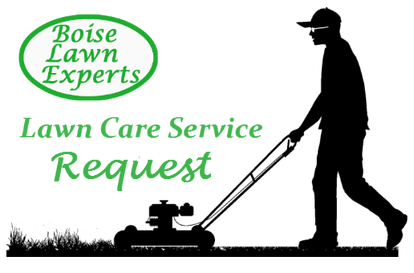 While Boise Lawn Experts can help with all regular sized tree trimming needs we do refer to a partner for the tree removal and stump grinding services. Have some tree trimming needs? ​Give us a call now to discuss how we can help!